If you’ve ever caught yourself saying or thinking that New York’s department stores have become too big, too bland, too same-old-same-old, then you need to schedule a visit to Dover Street Market as soon as possible. 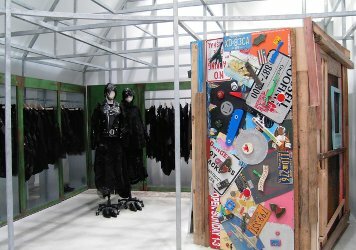 The original Dover Street Market opened in London (on Mayfair’s Dover Street) in 2004 and was followed by locations in Tokyo and Beijing. The Manhattan store opened in December 2013, stirring much discussion among architecture and design fans as well as fashion obsessives. 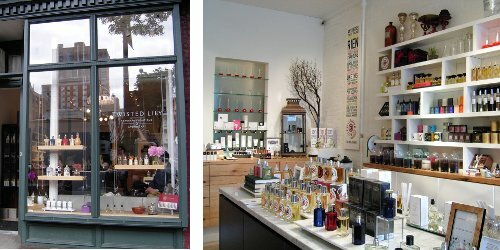 Twisted Lily is a sunny little boutique located on the ever-growing Atlantic Avenue shopping strip of Brooklyn’s Boerum Hill neighborhood. It opened last autumn, as a new project from the owners of online perfume retailer Parfum1. If you’re picturing a warehouse stocked with discounted mass-market scents, however, you’ll be surprised by Twisted Lily: its clean white interior is stocked exclusively with niche fragrance lines. A few big names like Serge Lutens and L’Artisan Parfumeur serve as anchors to a wide, thoughtful selection of smaller, independent lines that are difficult to find anywhere else in New York, like Imaginary Authors and Slumberhouse. Sometimes it’s a treat to wander the length of a fragrance counter or a boutique that offers dozens of perfume lines. At other times, you just want to experience a single fragrance house without any rush or distraction. Atelier Cologne‘s fragrances are available at other locations in New York (including Bergdorf Goodman and Aedes de Venustas), but if you have the time, the company’s Nolita boutique is well worth a visit. 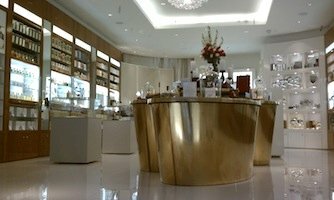 Osswald Parfumerie & Luxury Skincare Boutique opened its New York branch in August 2012. This is the second of only two Osswald locations; the original boutique is located in Zurich, where the family-run Osswald Parfumerie business was founded in 1921. 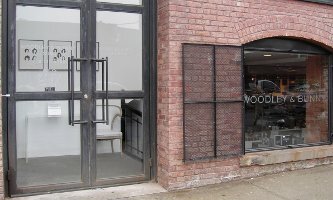 You might not normally think of going to a neighborhood hair salon to shop for fragrance, but Williamsburg, Brooklyn is not a typical neighborhood, and Woodley & Bunny is not a typical haircut joint. 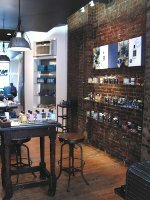 This trend-focused “Salon & Apothecary,” which opened in 2005, specializes not only in edgy hairstyles but also in cult-favorite beauty products of all kinds, including a selection of non-mainstream fragrances.